A permanent endowment fund has been established with the Community Foundation of the Holland/Zeeland Area. 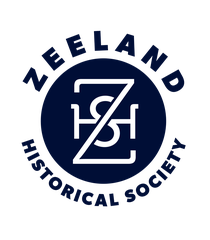 Endowment funds will safeguard the long-term operation and maintenance of our two properties - the 1876 Dekker Huis / Zeeland Historical Museum and the 1881 New Groningen Schoolhouse. For more information, click here.